The Elite EL RTCC provides the same high level of protection as the EL RTC, with the added attribute that its battery can be repeatedly charged/discharged. When not connected to a host computer, the EL RTCC runs on its internal battery, but once connected, it runs on a charge from the host, while at the same time recharging its internal battery. 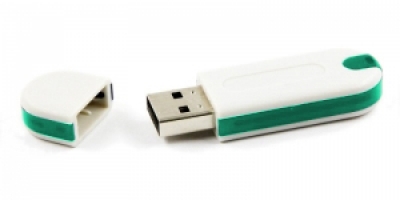 Having the same techncial apects as the Elite EL RTC, with the added feature of an on-board battery-backed real-time clock that can be repeatedly charged and discharged, the Elite EL RTCC is the state of the art in advanced dongle technology today. Without any interference to normal operations, the Elite EL RTCC battery can be charged by the host computer. In this way, the EL RTCC has a longer life than most competing products.. The EL RTCC employs internal LDO power-supply management, so when connected with a host computer, the internal power-supply management automatically switches to external power-supply, which charges the battery simultaneously. Insufficient battery power is alerted by a LED light indicator on the dongle. Â Elite EL STD is equipped with the most advanced PHILIPS 16-bit smart card chip reaching EAL 5+ in the global hi-tech sector. This furnishes EL with outstanding effectiveness in resistiance to major attacks such as Electronic Attack (SPA and DPA), Probe Attack (SiShell), Chip Dissection and Debug Port.